I loved it – and loved Nicholas’s character – even bought the dvd when it came out this week. I think watching it on a huge screen makes a big difference. I think I liked this a little more than you did, but great review. Thanks! Like Abbi said, the big screen would have probably helped. A film like this is so much more atmospheric and intense on the big screen. I have to disagree entirely, I’m afraid. 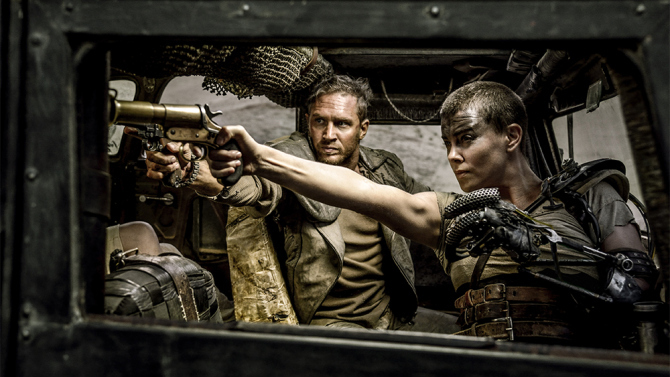 Mad Max is currently firmly at the top of my favourite films this year. It’s very easy to pass it aside as simply another action flick due to its abundance of cars, guns and explosions, but there is a hell of a lot of character work here. Nux, for example, began the film as a boy bred solely for war; he believes the only purpose of his life is to die for his master so he can be sent into “Valhalla” as a hero. Of course, it’s all fake, but that’s all his life is and he doesn’t know that. By the end of the film he has discovered his humanity for the first time, he accepts that the Valhalla isn’t real and that his life was a falsity in order for him to be solely a “Warboy”, and he dies in front of his old leader, but against him rather than for him. That’s character development to me. Max similarly discovers his identity and humanity. As he states at the beginning, his sole and only instinct is to survive. He knows nothing but loneliness and keeping himself alive. The film’s conclusion sees him saving the lives of others around him, embracing his survival instinct and connecting it with his newly regained humanity in order to help those he has come to trust. I also think all the acting is exceptional, especially Charlize Theron.